In the typical products-liability case, three legal theories are asserted—a contract theory and two tort theories. The contract theory is warrantyA guarantee., governed by the UCC, and the two tort theories are negligenceThe legal theory imposing liability on a person for the proximate consequences of her carelessness. and strict products liabilityLiability imposed on a merchant-seller of defective goods without fault., governed by the common law. See Figure 9.1 "Major Products Liability Theories". A second problem with warranty law (after exclusion and modification of warranties) is that of privityThe relationship between two contracting parties.. Privity is the legal term for the direct connection between the seller and buyer, the two contracting parties. For decades, the doctrine of privity has held that one person can sue another only if they are in privity. That worked well in the days when most commerce was local and the connection between seller and buyer was immediate. But in a modern industrial (or postindustrial) economy, the product is transported through a much larger distribution system, as depicted in Figure 9.2 "Chain of Distribution". Two questions arise: (1) Is the manufacturer or wholesaler (as opposed to the retailer) liable to the buyer under warranty theory? and (2) May the buyer’s family or friends assert warranty rights? The traditional rule was that remote selling parties were not liable: lack of privity was a defense by the manufacturer or wholesaler to a suit by a buyer with whom these entities did not themselves contract. The buyer could recover damages from the retailer but not from the original manufacturer, who after all made the product and who might be much more financially able to honor the warranty. The UCC takes no position here, but over the last fifty years the judicial trend has been to abolish this vertical privityPrivity between parties (manufacturer and retailer) occupying adjoining levels in product distribution systems. requirement. 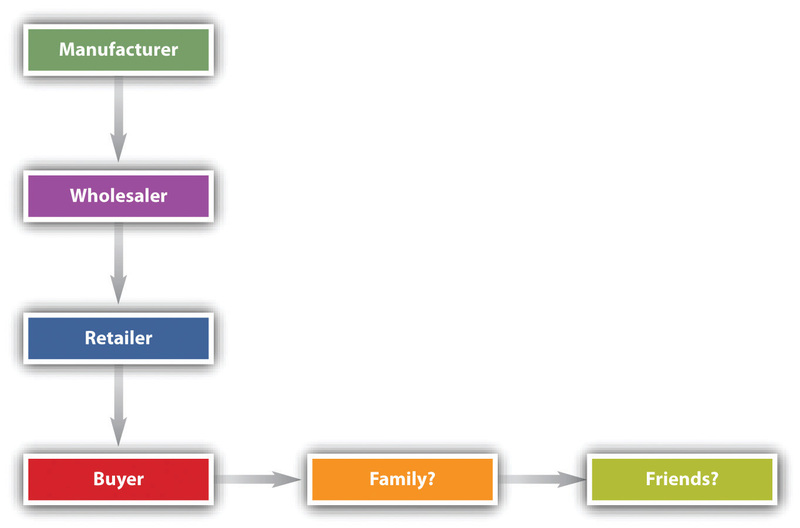 (See Figure 9.2 "Chain of Distribution"; the entities in the distribution chain are those in vertical privity to the buyer.) It began in 1958, when the Michigan Supreme Court overturned the old theory in an opinion written by Justice John D. Voelker (who also wrote the novel Anatomy of a Murder, under the pen name Robert Traver).Spence v. Three Rivers Builders & Masonry Supply, Inc., 90 N.W.2d 873 (Mich. 1958). Defective-design cases can pose severe problems for manufacturing and safety engineers. More safety means more cost. Designs altered to improve safety may impair functionality and make the product less desirable to consumers. At what point safety comes into reasonable balance with performance, cost, and desirability (see Figure 9.3 "The Reasonable Design Balance") is impossible to forecast accurately, though some factors can be taken into account. For example, if other manufacturers are marketing comparable products whose design are intrinsically safer, the less-safe products are likely to lose a test of reasonableness in court. The law governing the necessity to warn and the adequacy of warnings is complex. What is reasonable turns on the degree to which a product is likely to be misused and, as the disturbing Laaperi case (Section 9.6.3 "Failure to Warn") illustrates, whether the hazard is obvious. Strict liability avoids some negligence traps, too. No proof of negligence is required. See Figure 9.4 "Major Difference between Warranty and Strict Liability".